We are a service-based, Mexican non-governmental organization (NGO) working with some of the country’s poorest urban and rural communities. Founded on Christian principles, our purpose is together to transform poverty into an abundant, complete and dignified life. 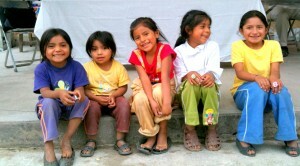 ARMONÍA has now become an international movement of Christian commitment to the poor. ARMONÍA works out this vision in various locations in several different dimensions. how ARMONÍA is involved in bringing the whole gospel to the whole person in Mexico.